ewcalls.com – Page 3 – Tri-X-Stands Come to the Adventure of Carnivore Calling! Rear weapon rest supports are made of 3/8 inch solid rubber with aluminum supports. Front rest is a genuine leather filled protector modle #1 sand bag. The top shooting platform can be slid forwards or backwards to suite your shooting style. Your rifle will feel weightless when you’re shooting or tracking a moving target. The top can be changed to any of the custom Tri-X-Stand shooting tops or taken off for storage. The shooting system is controlled by one control adjustment knob that allows you to set the movement’s to your liking. This will allow you to concentrate on your shot and nothing else. 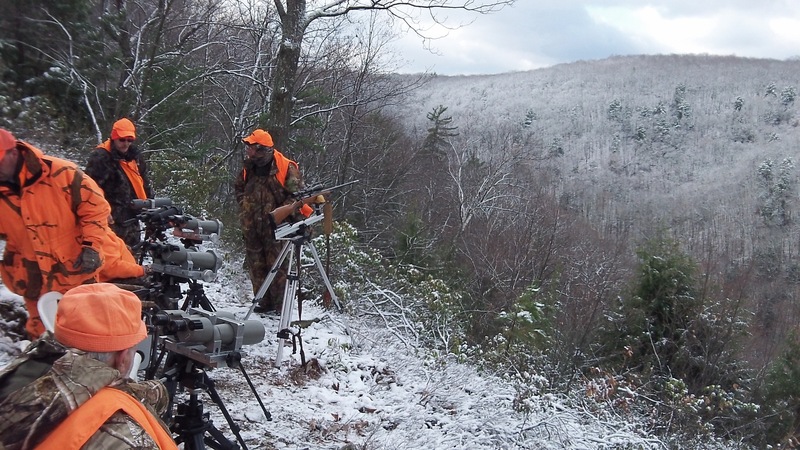 You can shoot with bench rest accuracy on any uneven ground, frozen ground, or mud conditions. These rifle rests can be lowered and shot from as low as 12 inches off the ground or raised up to 69 inches or any were in between. Tripod weight is 9.5 lb to 12.5 lbs depending on type of top or accessories. Comes with 1 inch wide carrying strap. Click here to visit the store and see the products now! 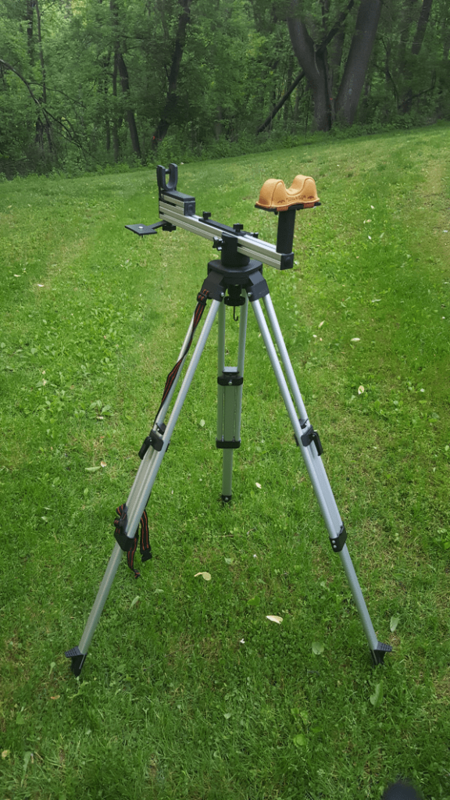 Our professional line of tripod rifle rests are the real deal for quick pinpoint shooting that will get the job done better then any others! Our Tri-X-Stand tripod shooting rifle rests are not the flimsy production imported rests others sell as tripod shooting rests! These are custom made shooting rests that pivot fluently in all directions with pin point accuracy. Check them out and never look back and say I should have purchased a real shooting rest. I met these two guys Mac and Bill at the Ohio expo. Both these guys love to hunt and put it on tape when they hunt. Check out there information and tapes. I watched the video, On the Prowl II and liked it. Check them out!